Ok, I went out spying today. Not on anyone but on another church. It is a very large church nearby. I've been wanting to check it out for sometime and finally got the opportunity today. With well over 2,000 in worship, it is a dynamic church. They are very involved in local service and mission as well as planting churches. 2. Large and tastefully done signage. 3. Greeters at the door. 4. Children's ministry at the main entrance. No hunting for the Children's wing, it finds you! If you looked online ahead of time (I did), their policies were there for you too (great idea). 6. Music, very well done. Not surprising, the church has a reputation for good music. 1. Motorcycle parking. Not that I could tell it was "official parking," but the bikers found a spot. It would be cool to make it more prominent in the signage. 2. Drums. Tom told me, now I know. All drummers prefer an acoustic set, but you can mix an electric. 3. Greeters. A greeter holding open each door is welcoming, three is a crowd. 4. Who was preaching? Three different pastors did parts of the sermon, but I had no idea who each was. Creativity is great, lets get outside the box, just let me know who I am following. 5. Site lines. Ok, I'm short so I guess it is my problem, but it was hard to see the stage when everyone was standing. 6. Font size. I've got to go back to something Guy Kawasaki recommended: Take the oldest person in the room and divide their age by two. That should be your font size. Now I'm not a good judge on whether I'd go there as I'm a United Methodist pastor and this was not a UMC. People are hearing the Gospel and making faith decisions. The church is teaching faith working for justice. I am truly thankful to see a church making such an impact on their community and beyond. It was good to get out of my usual environment. I was inspired with some new ideas which really didn't even have to do with what this church was doing. They just came. My prayer is for them to continue to do the Kingdom work God has put before them. ...but let us go beyond and pray for the churches in our communities which teach an authentic faith in Jesus Christ. May I Ask: What places, activities, or events inspire you? What was the last idea you received while there? May I Suggest: Get out and get inspired. Then make plans to follow through. Write it into reality. 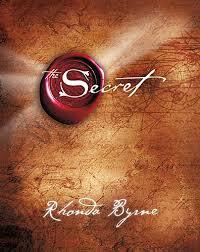 I've not read The Secret. "People want answers and that's what The Secret and positive thinking gives them. But if your desire to have answers is greater than your desire for the truth, you're going to make some really bad decisions." Don't get me wrong, I find self-help books to be encouraging and full of great quotes and creative ideas. They can give you some great jumping off points to ask better questions. That's just it, does self-help actually answer the questions being asked? Is all that happens good, the result of positive thinking? What about all that is bad? After I was diagnosed with cancer, I was watching a local preacher whose services were nationally syndicated. In his sermon, he declared, "...that bad things happen when you take Jesus off the throne of your heart." Well, that was an answer but I question whether it was truth. Let me tell you, as a pastor, that was a real "help" to my questions about having cancer. I can only imagine how that "helped" people, especially when the next week, after my surgery, I saw the same preacher, preaching with a cast on his arm. So did he take Jesus off the throne? There are all kinds of "answers" which can be given. Unfortunately, the answers may not be to the questions you or I or anyone else is asking. They may even be wrong answers to the right questions, but once published, and selling millions, who cares? Repeated failures and difficulties are not solved by answers, but by asking the right questions and seeking the truth. May I Ask: What answers are you getting? What questions are you asking? May I Suggest: Read Don the Idea Guy's post Killing Cats for some great questions (no, really, I LIKE cats!). Who was president of the US on your 5th birthday? Where did you live in 1965? ’75? ’85? ’95? ’05? This tree is at the overlook at Blackrock Mountain State Park in North Georgia. It is exposed on a rock face and faces all types of weather. I’ve gone backpacking up to this spot twice in the last few years and it is one of my favorite overlooks but I think it is the tree which really inspires me. The tree on Blackrock Mountain faces shifting weather but its roots are firm. 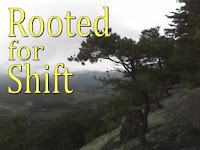 It is rooted for shift. So what has changed in your life in the matters of faith? When did you decide church mattered? Why did your knowledge about Jesus Christ become faith in Jesus Christ? Colossians 1:15-23 ESV He is the image of the invisible God, the firstborn of all creation. 16) For by him all things were created, in heaven and on earth, visible and invisible, whether thrones or dominions or rulers or authorities--all things were created through him and for him. 17) And he is before all things, and in him all things hold together. 18) And he is the head of the body, the church. He is the beginning, the firstborn from the dead, that in everything he might be preeminent. 19) For in him all the fullness of God was pleased to dwell, 20) and through him to reconcile to himself all things, whether on earth or in heaven, making peace by the blood of his cross. 21) And you, who once were alienated and hostile in mind, doing evil deeds, 22) he has now reconciled in his body of flesh by his death, in order to present you holy and blameless and above reproach before him, 23) if indeed you continue in the faith, stable and steadfast, not shifting from the hope of the gospel that you heard, which has been proclaimed in all creation under heaven, and of which I, Paul, became a minister. When Epapharas journeyed to Rome to talk with Paul about the situation in Colossae, there were changes, shifts were happening in the community. With a little detective work, we can determine the shift had to do with Jesus’ place in the Christian faith. Like in other churches, there were issues coming from differing faiths and backgrounds. Paul’s introduction addresses some of the root challenges to the faith in the Colossian church such as: Are there not spiritual beings greater than Jesus? Jesus was a human being but was he fully a spiritual being, so does that make Him less powerful than others? Was Jesus really God’s Son and therefore equal to God? The challenges could be put in two catagories: A challenge to the Nature of Jesus and a challenge to the Deity of Jesus. For in him all the fullness of God was pleased to dwell (v 19). Jesus is clearly both spiritual and physical. In Jesus, God affirms the “goodness” of the created world by the fullness of God dwelling in human form. Those who were trying to teach that Jesus was subservient to other spiritual beings were informed, by Paul, this is not the case. This doesn’t shift. Now, allowing St. Paul to have understood the terms which he used, he must have considered Jesus Christ as being truly and properly God. Paul clearly and decisively addresses the foundation of what the church believes regarding Jesus Christ. I met this past Saturday and had lunch with one of my former students from my days as a youth pastor. At the end of this week, I’m officiating her wedding, talk about things shifting! Every time we get together, Dayna some how brings the conversation to cell phones and she reminds how I once said I’d never have a cell phone. Along with my cell phone, goes my palm-pilot and laptop. I’ve had a page on MySpace for almost three years. Now I have a Facebook account as well and three months ago I started a blog. 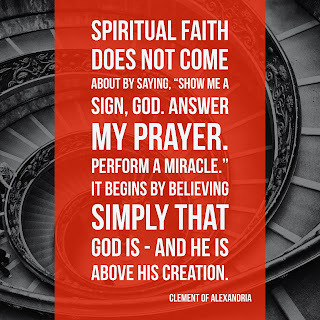 The purpose of the blog is to help connect to people looking for faith and a church. A side benefit of being online however, has been to read and listen to the diversity of voices regarding faith. Many of those voices are ones who claim to be Christian yet it is apparent, they’ve shifted from many core beliefs of the Church. We believe in one God, the Father Almighty, Maker of all things visible and invisible. And in one Lord Jesus Christ, the Son of God, begotten of the Father [the only-begotten; that is, of the essence of the Father, God of God], Light of Light, very God of very God, begotten, not made, being of one substance with the Father; by whom all things were made [both in heaven and on earth]; who for us men, and for our salvation, came down and was incarnate and was made man; he suffered, and the third day he rose again, ascended into heaven; from thence he shall come to judge the quick and the dead. And in the Holy Ghost. This creed, alongside the Apostle’s Creed, outlines correct belief for Christians and defines what is consistent with the Biblical record. The United Methodist Church’s Book of Discipline contains the Articles of Religion and our Confession of Faith which have continued to uphold these core teachings. The challenge becomes: How can we make it work? How does belief become lived out as faith everyday? And Paul answers, “…continue in the faith, stable and steadfast, not shifting from the hope of the gospel that you heard, which has been proclaimed in all creation under heaven, and of which I, Paul, became a minister. (Colossians 1:23 ESV) We make it work by putting down roots which go deep and draw from our faith and hope in Jesus Christ. God intends for us to shift and change because he calls for us to be holy. But I believe God intends for our roots to firmly be planted on faith in Jesus Christ. A faith which can be authentic. A faith which can be lived daily. 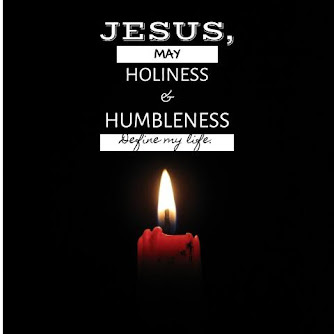 A faith which does lead to holiness. A faith which is worth giving up everything for. 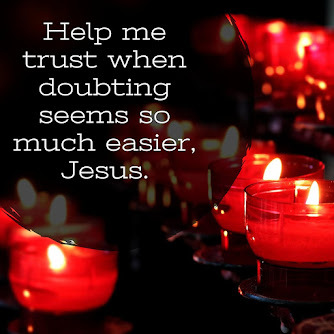 May I Ask: Where have you found it most difficult to be "stable and steadfast"? What has that experience taught you? May I Suggest: Connect with a friend or two and talk about your roots and how rooted you are. 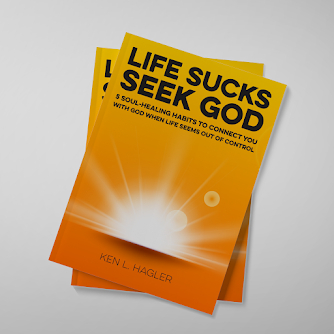 a place that both wrestles with life issues but also points to hope and new life. None of us can walk in another's shoes but a life reflected on and a faith nurtured daily, can be the soil for a whole lot of good things to start happening. is this blog will be a place where I can connect to those in Paulding County, West Cobb, Dallas, Acworth, and the Cedarcrest Rd. Area. Secondly, to be a place to develop comrades and friends along the faith journey around the world. And third, to be a place where I can record and reflect how God has changed my life through an authentic faith in Jesus Christ. May I Ask: Why do you blog? May I Suggest: Research some professional bloggers to get ideas. When I got the clear call from God (not my District Superintendent) to go out and start a church, I was less than thrilled. Certainly being a cancer survivor, depression survivor and youth ministry survivor was enough for anyone, right? But as anyone knows who has had a vision, it doesn't go away. Ever. I've heard you can try all kinds of ways to try to ignore it. Yeah, right. A purpose fits you. Visions move you. You see burning bushes. You leave home. You wear camel skins and eat locust and wild honey. You wear dirty underwear (really: Jeremiah 13:1-11). Faith is a facilitator of honesty. There is no need for us to conceal our concerns or hide behind our fears. Openness leads to authenticity. Be bold, be honest, be authentic and you will start attracting a crowd. Visions aren't fulfilled by sprinting, you gotta think marathon. Shoot think through-hiking! One step at a time. You need to have sounding boards and people you trust. I meet monthly with another church planter to keep talking about what we're facing. I've also formed a personal "board of directors" who take time to challenge me and pray for me in the midst of the journey. Jeff is one of those. You can't fake it. Goodness knows, I moved my family out to a community we'd never been before, went through the process of ordination in the UMC, and have had more lunches and breakfast meetings in the last year than in my previous 10 in full-time ministry. I've had more fun in recent weeks wearing a name tag, starting conversations with strangers, meeting new people, e-mailing experts, all the while talking about a church which doesn't exist yet. Why? Faith for me is reliance upon Jesus for life: my salvation and sanctification. And that is how I'm living, as authentic as I can. May I Ask: You got a vision? Got faith? May I Suggest: Stop reading this blog and go to it! These two weeks I'm preaching from Colossians 1. These are the epistle readings from the lectionary. If you read my sermon from this past Sunday, you've probably guessed my theme of "Shift." There seem to be three key times on the calendar when people seem most open to or are facing change: Winter Break, Easter/Spring Break, and School Starting. I'm preparing for the start of school with my kids, starting Cub Scouts, paying the bills of summer vacation, and preparing for the 12 month stretch to the launch of a new church. That doesn't include the new people who just moved or are moving and looking for a new church, facing job transitions and making new friends. These are some of the personal elements of shifts. It is also a time to consider shifts regarding social issues and theological ones too. The reading this week from Colossians 1:15-28, is one that addresses the foundation for faith, Jesus Christ. The verses are possibly a source of comfort in change or the catalyst to consider change. It paints a backdrop to discuss all manner of issues on the front pages: climate, election, the war, etc. While it seems many pastors have chosen to ignore the lectionary readings, I've found them to be a great resource. Sites such as The Text This Week provide access to great resources and help in advance planning. The lectionary also pokes at us in places we don't want to face too. Passages we might want to avoid, we have the opportunity to consider. Devotional readings and books have a way of doing this too. May I Ask: How do you determine your preaching text or personal devotional readings? 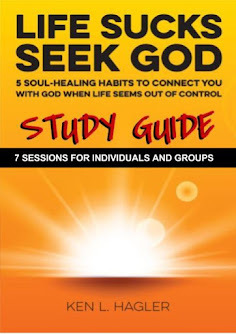 May I Suggest: Find a resource like the lectionary or The Upper Room as a guide. Journal for a week and see how often they speak to current issues & events. I went home again. No, not really because the cliché says, “you can never go home again.” So on vacation I went home to a place that doesn’t exist. While I was away, things shifted. I really didn’t have a problem with the shifting. It is neat to see how things have changed back in Greenville, NC. Seeing new businesses opened up, seeing old places still standing and of course the old haunts disappearing, remind us, things change. When I first shaved my head in 1998, my hair was brown. When I let it grow back in 2004, let’s just say, it’s not brown anymore. Today, I talk with more people by typing than I do talking on a phone, even my cell phone. Communication has shifted. Most of us take for granted that the internet is wireless. If the experiments of some young scientists continue, before long, electricity may be wireless too. Paul, an apostle of Christ Jesus by the will of God, and Timothy our brother, 2) To the saints and faithful brothers in Christ at Colossae: Grace to you and peace from God our Father. 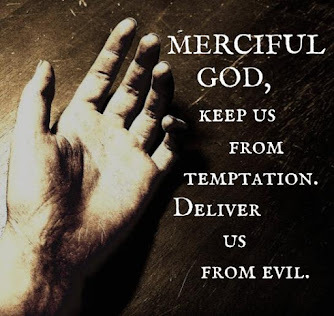 3) We always thank God, the Father of our Lord Jesus Christ, when we pray for you, 4) since we heard of your faith in Christ Jesus and of the love that you have for all the saints, 5) because of the hope laid up for you in heaven. Of this you have heard before in the word of the truth, the gospel, 6) which has come to you, as indeed in the whole world it is bearing fruit and growing--as it also does among you, since the day you heard it and understood the grace of God in truth, 7) just as you learned it from Epaphras our beloved fellow servant. He is a faithful minister of Christ on your behalf 8) and has made known to us your love in the Spirit. 9) And so, from the day we heard, we have not ceased to pray for you, asking that you may be filled with the knowledge of his will in all spiritual wisdom and understanding, 10) so as to walk in a manner worthy of the Lord, fully pleasing to him, bearing fruit in every good work and increasing in the knowledge of God. I’d like to suggest there is one in our passage, we might all learn to be more like. One named Epaphras. Now we don’t know much about Epaphras. But Epaphras had to deal with changes and is one who might help us with the shifts we face. Whatever shifts you face, like changing from summer to school or the shifts of growing or shrinking communities, what we need remains the same. What we know about Colossae is that things were shifting. At one time they were a huge city but had become like the town from the movie Cars. It was the “Radiator Springs” of the first century. Now, a new church had begun and lives had been changed. And just as things were getting established, people and ideas were causing these new disciples to start wandering spiritually. It was a time of shift and a place of shift. Epaphras is only mentioned in Paul’s letter to the Colossians and in his letter to Philemon. We know the Epaphras of Colossians was from Asia and…? Well we know what Paul tells us. And I think, what Paul describes to us about Epaphras, reveals a person we can model our lives after in times that are shifting and changing. We know from verse 4 that Epaphras understood the importance of connection. Networking was not an invention of the last two centuries. It is quite possible that Epaphras made the journey to Rome to share with Paul what was happening at the Colossian Church. 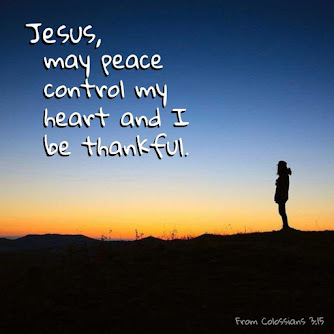 That Paul mentions him again in Philemon reinforces how important connections are to our lives especially in changing times. We don’t know how long Paul and Epaphras have known each other. That Paul speaks of him as a fellow servant in verse 7, gives us a clue though, of how close Paul perceives their relationship. The word Paul used was sundoulos , meaning they were co-slaves of the same master. Paul saw Epaphras as a peer in ministry, they were comrades, serving in the trenches to reach people with the Gospel. Paul then identifies Epaphras as “…a faithful minister of Christ…”, Epaphras served in the role of pastor and possibly the church planter in Colossae. But Paul saw him as more. He was faithful, someone trustworthy, a person with character, someone you could count on for being true. Coming from Paul, such a statement should carry a lot of weight. Who would be better, who is more qualified, who is more empowered in great times of shift than people who God has changed personally? If any one group of people should be prepared and ready for shifts, it is the church. Followers and disciples of Jesus Christ are a changed people called to change the world! Epaphras reflects the shifty people we are to be. He has gone from a wanderer to follower to faithful disciple. Epaphras understood too, the need for connection and comrades in times of shift. Life is shift and shift is change. Changes are uncomfortable, from better to worse and even from worse to better. On the journey of life, we are changing. On the journey from wanderer to follower to disciple, we are on a journey of change to become more like Jesus. Epaphras is also the results of a shifty people, people of character, people with comrades and people connected. He had been changed by encountering Jesus Christ in the lives of disciples. We are a people with a mission to change the world. As our world changes in the small ways and in the big, we are reminded of the change being done in and through us and the call to reach out to help change a changing world. May I Ask: What other behaviors or habits have you found helpful in times of shift? May I Suggest: Consider Ephaphras. How prepared are you for times of change? How about your church? Your business? It is a neat little feature you'll find in most word processors. 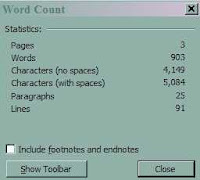 It is called "Word Count." I know most of us grew used to stretching out and using filler words in our term papers and test answers to meet the requirements. But in the real world, is that a realistic approach? You don't get the opportunity to capture people's attention for very long these days. Media looks for sound bytes and cares little for context. Anyone involved in public speaking these days recognizes words matter. The right words make meaning. Muhammad Saleem asks the question: Which Words Can You Live Without? He compares two speeches given on November 19th, 1863. The one remembered consisted of only 269. It is known as the Gettysburg Address. Look at the average commercial. To sell products, advertisers get their messages down to 30 to 60 seconds. How about you? Can you narrow down your message to that little bit of time? When I was in Seminary, I took my preaching class from Dr. J. Ellsworth Kalas, arguably one of the greatest preachers of our time. Dr. Kalas had us prepare three sermons, one 5 minutes in length, one 10 minutes in length and one 15-20 minutes in length. Why? Any good message should be able to be preached in 5 minutes and a good preacher shouldn't need anymore than 20 minutes to get it across. The hardest sermon we did was the 5 minute one. Not read Guy Kawasaki's 10/20/30 Rule of Powerpoint? It is certainly worth a look. It is written for business but the practical nature applies to anyone who speaks; for business or the Kingdom. Simply put Guy says you don't need more than 10 slides, 20 minutes to speak, or smaller than 30pt font to get your point across. The next time you're preparing to speak or preach, take time to use that little tool. Then go back and eliminate useless words. 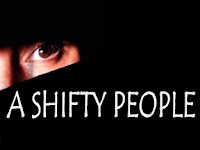 And if you're wondering, my sermon this Sunday, "A Shifty People," comes to 903 words. That should be right between 15-20 minutes, my average time. May I Ask: Do you know of some useless words? What are they? Share them here! May I Suggest: If you write out sermons, use your word counter, same thing for speeches. Try to find words you could do without. How often in life do we find people who seem to have it in for us? When we were on vacation, my son and I were walking along the Tar River in my home town of Greenville, NC. As we passed by this one kid, the kid said in a snide way, "Hey Star Wars" (my son was wearing his Star Wars shirt that day - I'm so proud:) As we walked on by, my son asked why, and I told him the kid must have liked his shirt. The problem with it was that the comment was made clearly out of jealousy. "Ultimately, I’ve learned that when it comes to Haters, it usually says more about THEM than the person they hate." Anytime you step out or step up and even step back, there are going to be people who question you, challenge you, heckle you and hate you. There are also going to be those who support you, encourage you, help you and love you. Whether you're starting a new church or a new business, have a great idea or are doing something new, you'll make someone mad and they'll let you know. You get to choose who to listen to. May I Ask? 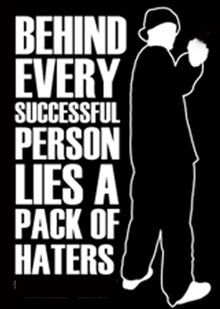 Are you doing anything to hear from "haters?" As I was answering the questions in the survey it grew clear early I'd have to be the Joker or the Riddler (and actually I split). When I asked my wife, Heather, what super villain I would be it took her one guess (go figure). When was the last time you sought out correction? How often do you find those people who challenge your thinking and your actions? For me, I recognize my altar ego most when I get sarcastic. Before we got married, it was Heather who challenged me on the point at the end of my tongue. I've got friends who I've given permission for challenging my actions and staying true to my character. There is no law against being stupid but as Forrest said, "Stupid is as stupid does." May I Ask: Do you know your "altar ego"? How do you deal with him/her? May I suggest: Find a friend or two and give them permission to ask tough questions. Start journaling. Find something to help you reflect on your actions like the100 Days of Brilliance Electronic Calendar. While you're at it, if you take the survey, post up your alter ego here! In the summer, for hours on end, my parents turned me loose as a kid. For those of us who spent time together on those days, there were endless bike rides, exploration of an old abandoned farmhouse, hanging out in the old treehouse and plenty of imaginary wars we fought. As I continue to explore the wit and wisdom of The Dangerous Book for Boys, not only am I taken back to days gone by, I'm inspired to teach these things to my son (and some of it to my daughter) and learn more myself. 1. Finding Direction with a Watch. I've been a Boy Scout and avid backpacker but until this book, no one had ever showed me how to find direction with my watch. Now I know. 2. Charge of the Light Brigade. What is the real story behind this incredible event? Find out here along with other stories of courage. 3. What phrases in Latin should every boy know? They're here. Yesterday, my son and I added a flag pole to our tree house and hoisted the Jolly Roger. Of course when my daughter saw it, we were told it had to come down when the girls come down to play. For many of us as parents, this type of play and exploration must be supervised. So my question is, why not join in? If you don't have kids, why not volunteer with Cub Scouts and Boy Scouts or Brownies and Girl Scouts and invest in a generation who needs some time to learn "dangerous" stuff. Get inspired and get dirty! May I Ask:What did you do on summer & Sunday afternoons as a kid? How does it inspire you today? May I Suggest:Plan an adventure for yourself and/or family and go play. I saw the Transformers with my son yesterday. It was all I'd hoped it would be and exactly what I wished it wouldn't be. It is definitely PG-13. Like the original cartoon movie which "they" felt needed a PG rating, the movie was chocked full of expletives which were totally unnecessary. The rude humor was rude but nothing so much so that every elementary school kid couldn't figure it out. There is plenty of violence but you don't "see" any humans die and none in a bloody way. On the Decepticon side, there seems to be an assumption we already know well Megatron and Starscream, who we don't get to see in combat till late in the movie. The rest of the Decepticons are new to the scene but much more evil than their cartoon counterparts. All the better I say. We see Frenzy, the cd player-boombox spy, the most, which is fine. Those expecting to see Soundwave, forget it, you won't miss him with this evil little guy doing his part. There is ample opportunities for the sequel and you can tell they've prepared for it. Be sure if you go, to stay through the first few minutes of credits. The underlying premise of the movie, I think, is one of hope in the midst of evil. True to the comics, Optimus states, "Freedom is the right of all sentient beings." Appropriate words for an Independence Day movie. Without being political, the Autobots are isolationists who understand the need for a "Department of Defense." Their motto might be "To serve and protect" which interestingly, Decepticon Barricade parodies on the side of his patrol car: "To destroy and enslave." Without giving away spoilers, the mission of both the Autobots and Decepticons is to locate "The Cube" which contains "the Allspark", the power which gave life to the Transformers and which can give life to all electronics. Optimus tells us that in the beginning, the Transformers were a peaceful race until Megatron's quest for power began. I noted in the movie, that every electronic device which was touched by the "Allspark" became aggressive and violent. Rather than having a "default" programming of good, as in the beginning, their default program was that of destruction and evil. Was that intentional? Not sure but it certainly echoes the chronicling of humanity as found in the Bible. Transformers is definitely matinee price and I'd probably pay evening full price, though I wouldn't take a child under 7. May I Ask: What was the last movie you saw that made meaning? How did it impact you? Choose your game wisely. Do you really love what you do? I think I'll stop while I'm ahead...or a nose (I know that was bad). Thankfully, I love what I do. May I Ask:When was the last you "loved" someone? Was it with words? Actions? Touch? Service? Time? Gifts? What difference did it make? May I Suggest: Check out Gary Chapman and The Five Love Languages. At the time, Philadelphia was the largest city in America. Following behind it were New York City and the port city of Charleston. Under King George II, the original colonies enjoyed a great deal of freedom to run things their way. From the start, the people in America were independent folks, many seeking a better life in the new colonies. They were industrious and creative, inventive and intelligent. They were also loyal to Great Britain. So when George the second’s grandson ascended the throne in 1760 at the age of 22, and decided he knew best how things should be run, the foundations for a revolution were born. Growing up, many of our family vacations centered around visiting sites of the revolution such as, Williamsburg, Philadelphia, and Boston, to name a few. 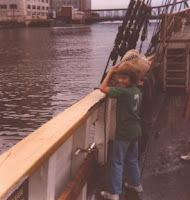 I’ve walked through Valley Forge and threw boxes of tea into Boston Harbor. I’ve walked on the hardwood floors of Independence Hall and I’ve stood at the base of Paul Revere’s statue. So it has been hard at times to read of new “revelations” reveal the dark sides and shadows of those who led our nation in the early years. But rather than surprise us, it should give us pause to consider just how much our founding fathers and mothers were like us, ordinary people given cause to create an extraordinary time. Think about it, what makes a revolutionary? What makes one any different than you or me? Those who signed their names to the Declaration of Independence put everything on the line. Nathanael Greene and John Paul Jones both died bankrupt. Thomas Paine suffered from unemployment and depression. Alexander Hamilton died in a duel. Others lived much longer and received many more accolades. George Washington and Ben Franklin come quickly to mind. Two of the most influential, Thomas Jefferson and John Adams, died peacefully on July 4th 1826, just a few hours apart. These revolutionaries counted the cost of revolution. 9) For I think that God has exhibited us apostles as last of all, as though sentenced to death, because we have become a spectacle to the world, to angels and to mortals. 10) We are fools for the sake of Christ, but you are wise in Christ. We are weak, but you are strong. You are held in honor, but we in disrepute. On that Christmas night, many soldiers left a trail of blood as they won an important victory at Trenton, keeping the morale of the country up in the dark, early days of the American Revolution. We’re Americans and Isn’t this the spirit instilled into us as Americans? Are we not the descendents of revolutionaries? This is surely the path that our founding fathers and mothers blazed for us is it not? He did so after washing the feet of his disciples, the ones to be called the apostles. These are the ones Paul describes as “hungry, thirsty, poorly clothed, beaten and homeless, reviled, persecuted, slandered, and seen as trash”, true revolutionaries. There is a freedom, and a power to choose and walk a different way. You can give into the urge to hold open the door for someone or to build a house for a needy family. You can choose to fall completely in love with your spouse again and again. You can set your mind on the kingdom of God and be filled with a love of God and neighbor and enemies and even strangers. While Thomas Jefferson may have sworn, “eternal hostility against every form of tyranny over the mind of man,” it was Jesus Christ who defeated the tyranny of sin over all of humanity. There is for us now the opportunity for returning to the revolutionaries Jesus set us apart to be for …if the Son sets you free, you will be free indeed. May I Ask:Who was the last "revolutionary" you spent time with? What did you learn? What did you do? May I Suggest:Google your field and read the "revolutionaries" even if you disagree with them. Learn new things. Do something!